Is Canada's 'dairy cartelâ really milking the system? I never used to pay much attention to the price of milk. It was always on the list, and you paid what you paid. But now I keep a close eye on it. Alerted by the current debate over supply-management in Canadian agriculture, I figured the best place to discover the evil deeds of the so-called âdairy cartelâ was on the shelves of my local grocery store. This week, a four-litre bag of 2% milk is going for $4.99. Thatâs $1.25 a litre, cheaper than any of the sugary drinks for sale there and half the price of the many milk substitutes that now crowd the dairy shelves. I keep waiting for the dairy cartel to tighten the screws and begin to charge as much as its sugar-water competitors do. But reality stubbornly persists in contradicting the alarmist rhetoric that politicians and pundits spin about greedy farmers, to the point that the contrast between what happens in the dairy aisle and the political outcry it provokes has become bizarre. Somehow, the orderly, fair-all-round provision of basic food has split the Conservative Party and become a major sticking point in Canadaâs most important trade negotiations of the century. But thatâs what happens when ideology attacks evidence â" either from without, in the case of Donald Trump, or from within, in the form of Canadian free traders who simply cannot abide the existence of a successful counter-example to their orthodoxy. It is a matter of opinion that Canadian milk is wildly overpriced, and that oppressed consumers annually transfer unearned billions to fat-cat farmers. It is a matter of fact, according to data firm Nielsen, that Canadian milk was on average cheaper than the equivalent U.S. product in 2017. So was Canadian butter, cream, cheese and yogurt. Even consumers in New Zealand, a dairy powerhouse with 4.7 million people and 6.5 million milk cows, pay quite a bit more for dairy products than Canadians. Ideology tells supply-management critics that deregulation will lower prices and turn Canada into a dairy-exporting giant. They often point to Australia, which deregulated dairy in 2000, as an example of the right path. The facts are that Australiaâs share of international dairy exports have dropped from about 9 per cent to 4 per cent since deregulation. Milk production has dropped from about 12 billion litres annually to about nine billion litres today. Farmers are losing their livelihoods by the hundreds ever year, and suicide prevention is now a major focus of Australian dairy policy. And the price of milk in Australian supermarkets is on average higher than it is in Canada. The reality is that there is no free market beckoning enterprising Canadian farmers. The world market is chronically awash with subsidized products that make competition almost impossible. By not playing along, Canada has developed a dairy industry now envied worldwide by the victims of deregulation gone wrong. U.S. subsidies and tariffs have encouraged farmers to steadily increase production in the face of declining demand. 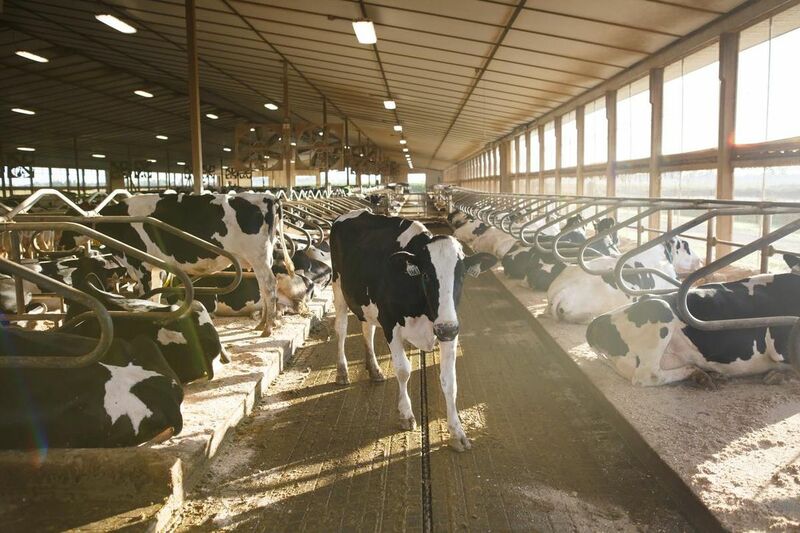 As a result they dump almost 200 million litres of milk a year on fields and into streams. The national cheese stockpile, designed to support prices by warehousing excess dairy production in non-perishable form, has grown to 635,000 tonnes. As family farms disappear amid a now-familiar epidemic of suicides, U.S. farmers regularly tell reporters they need Canadian-style production controls to survive. In the European Union, which abandoned dairy quotas in 2015, overproduction has taken the form of a skim-milk powder mountain that now weighs 380,000 tonnes â" and has triggered new subsidies amounting to $760 million annually to support farmers driven to the wall by the policy. Yes, growth-hormone-laced milk in the U.S. is cheaper than hormone-free milk in Canada. Much of it is produced in massive factory farms staffed by undocumented immigrant workers earning starvation wages. Without that dubious advantage, the U.S. dairy industry itself has estimated, retail milk prices there would increase 90 per cent. How cheap is too cheap? If ideology paused long enough to recognize reality, it might eventually consider an answer. In the meantime, $1.25 for a litre of milk produced on prosperous family farms is a bargain Canadians would be crazy to give up. John Barber is a freelance writer living in Lakefield, Ont.